Mexico is a popular travel destination for Americans. It's not uncommon for people to want to bring their baby with them on their upcoming Mexican adventure; however, you might be wondering if a passport is needed for your newborn. The answer is yes and no - it all depends on how you plan to travel back and forth to Mexico. 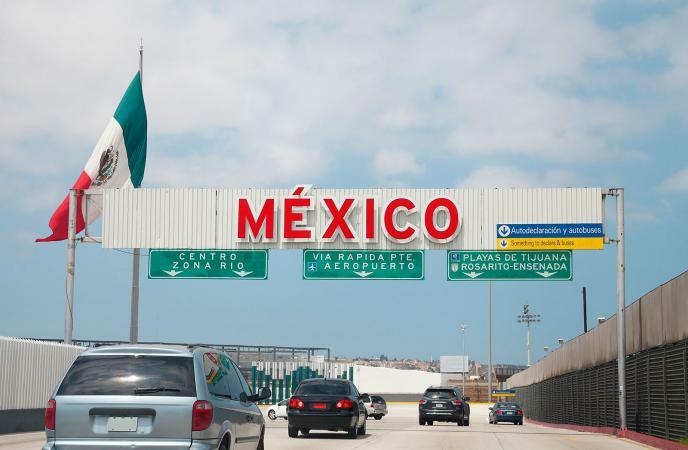 If your travel plans involve visiting Mexico either by driving across the border or on a cruise ship, U.S. Customs and Border Protection (CBP) says that U.S. and Canadian citizens do not need infant passports. You will, however, have to present a copy of a birth certificate. It needs to be a full birth certificate, and not just a hospital certificate. If your travel plans to Mexico, or any other country, involve flying into and out of the U.S., you will need to obtain a newborn passport. Lawful Permanent Residents (LPRs), refugees, and asylees, will use their Alien Registration Card (Form I-551), which is issued by the Department of Homeland Security (DHS). With the rise in child abductions, keep in mind that you will need a notarized letter of consent to travel with your child out of the country if both parents aren't traveling together. The CBP suggests the letter say something to the effect of, "I acknowledge that my son/daughter is traveling outside the country with (name of adult) with my permission." The process for obtaining a newborn passport is a bit trickier, and can take longer than a normal passport application. You need to visit an office in person with the baby, preferably with both parents. You also have to prove that you are the parent(s) of the child in question. Familiarize yourself with the steps and make sure to apply far enough in advance to ensure the passport application is approved in time for your upcoming trip.